A couple of assets have piled up over time. See some nice pictures from previous JSCRs where we use printouts of the things below. At the Munich JSCR we have print outs of this beautiful picture. 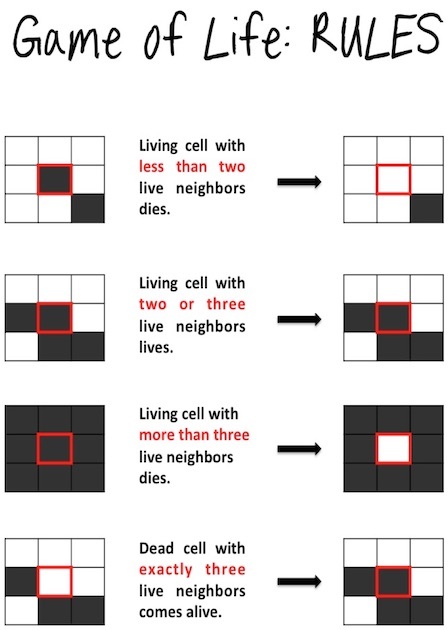 It explains the four Game of Life rules. 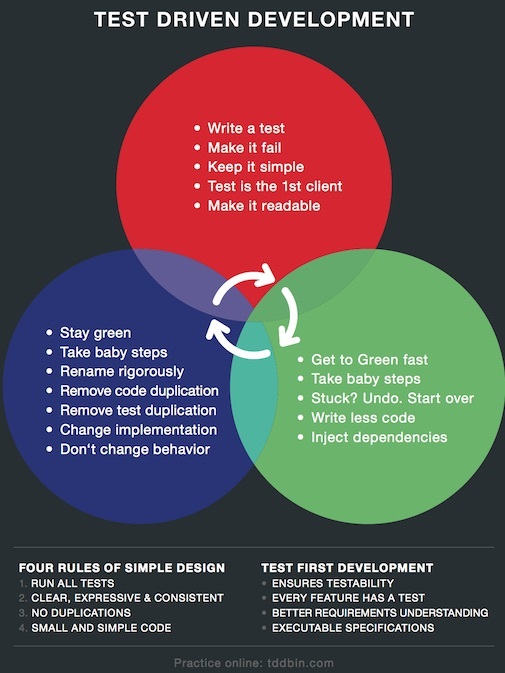 If you print it out on a A4 sheet you can nicely fold it in the middle and will have the a nice graphic explaining the TDD cycle on the other site. 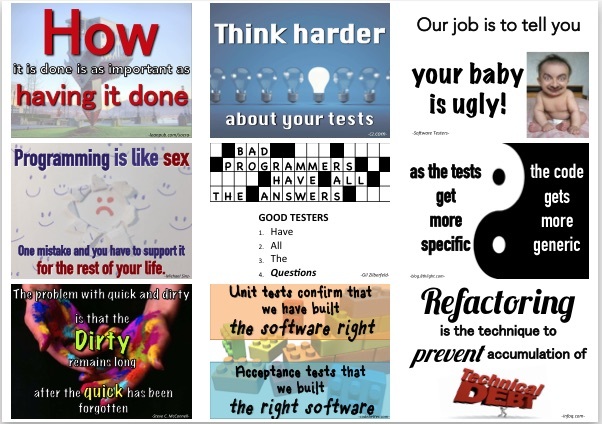 Feel free to print out the TDD poster and hang it on the walls in the room where the participants can learn and investigate about TDD and some details. See in the pictures we made at various JSCRs how the quotes make up some nice flag-kinda things hanging in the room and offer some nice short-term entertainments. A CodeRetreat is a day-long, intensive practice event, focusing on the fundamentals of software development and design. This FREE event gives the opportunity to practice TDD, Clean Code and Refactoring for a whole day. This isn’t a conference! Rules are totally different, attendees take actively part in the coding experience: act a lot, listen very little. Brought to you with Copyright © 2014-current, Wolfram Kriesing. Designed by Marco Santonocito.